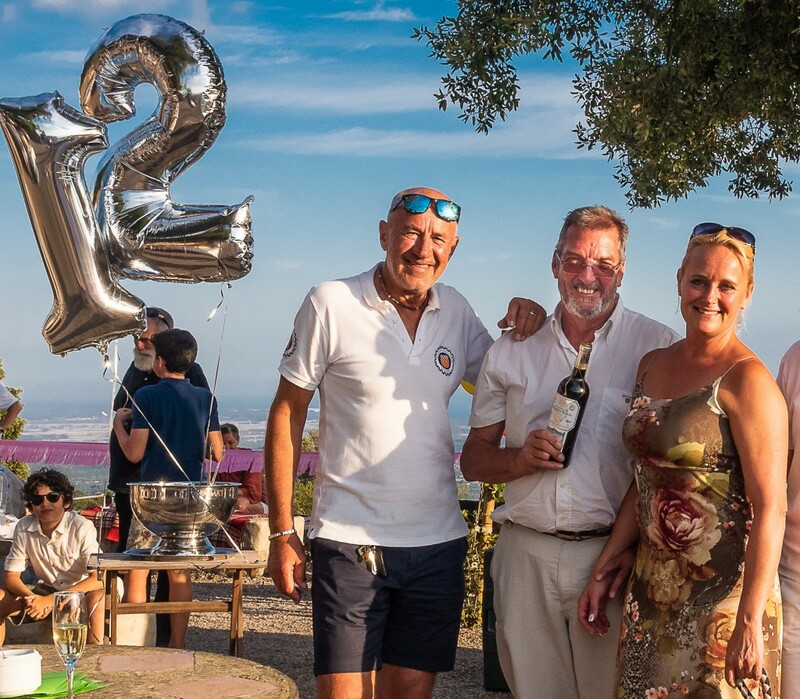 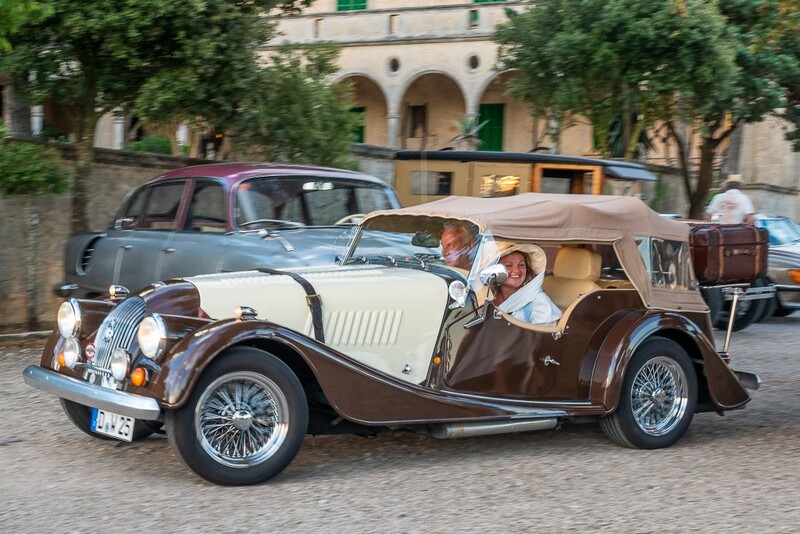 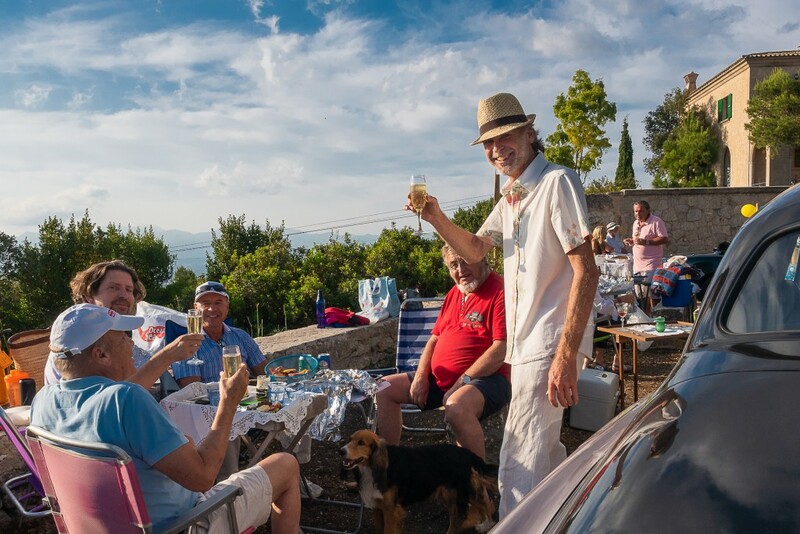 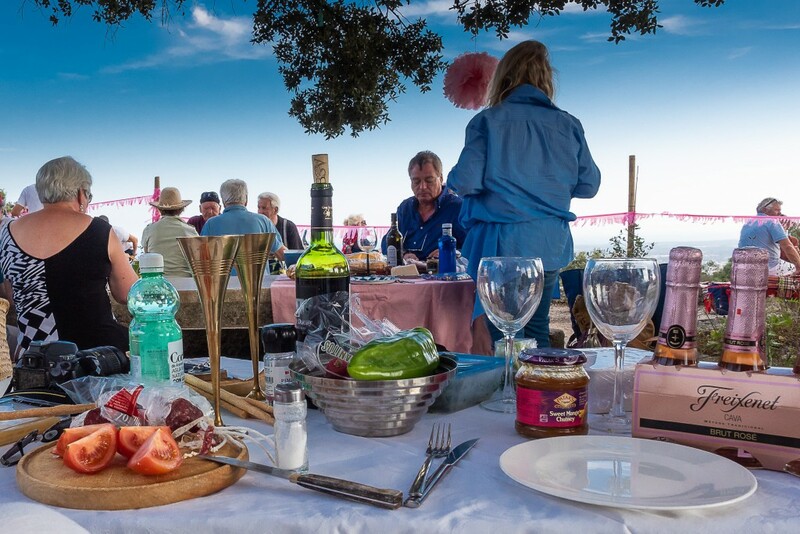 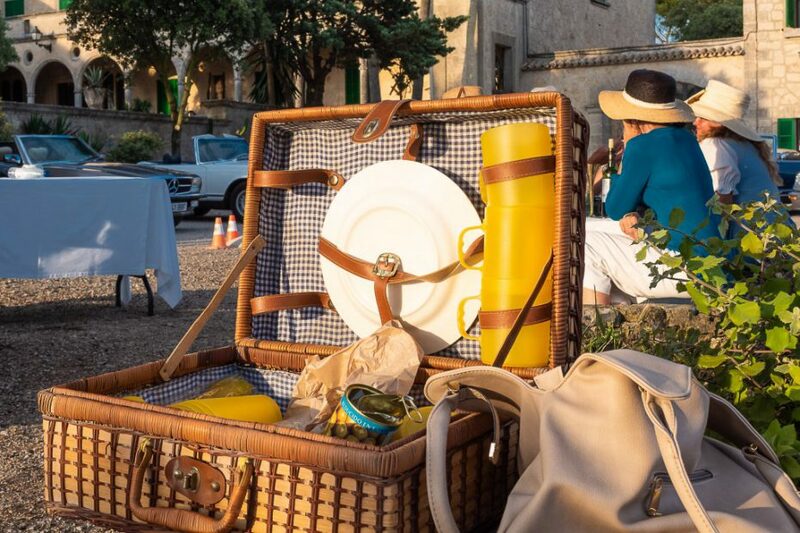 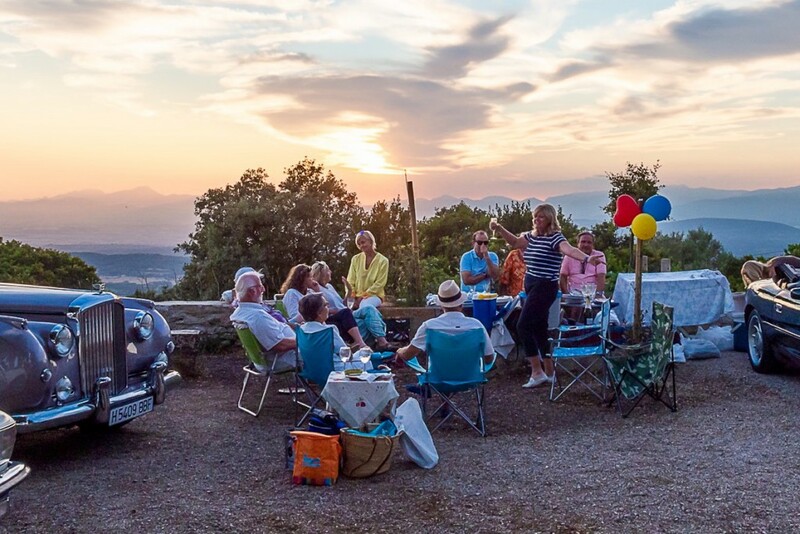 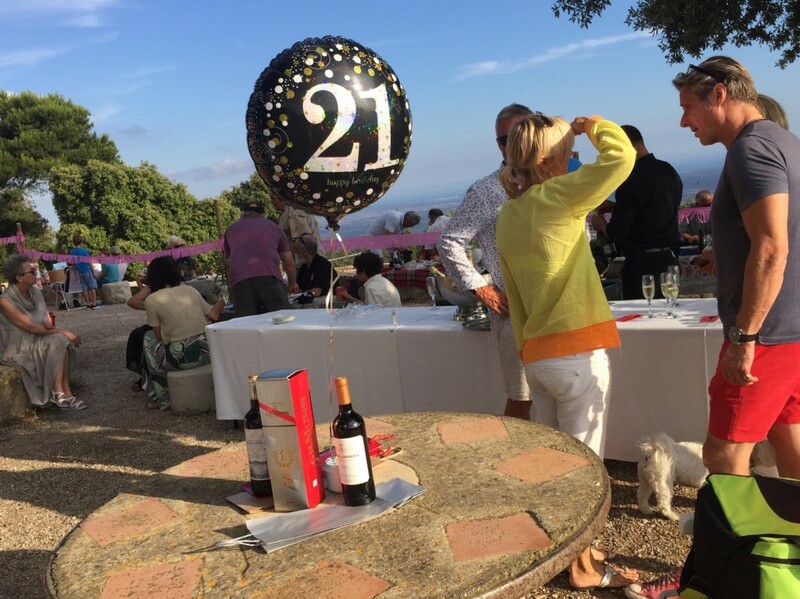 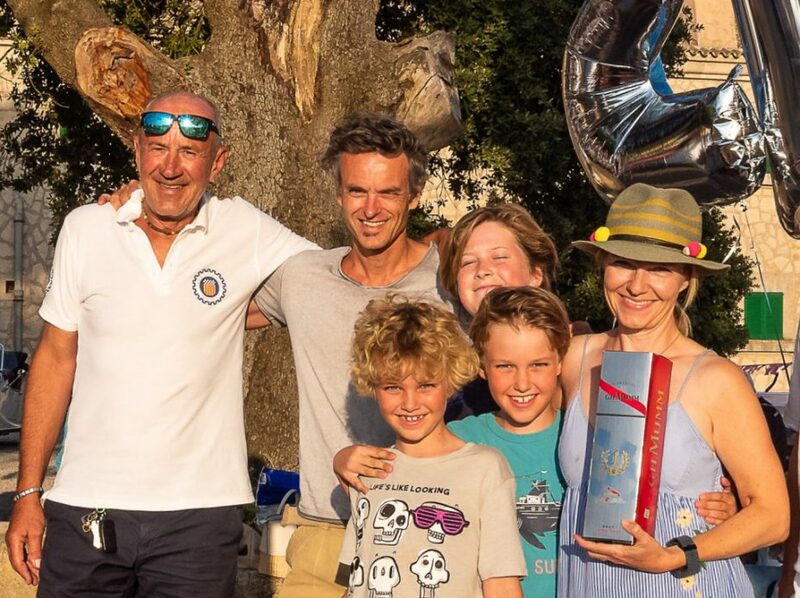 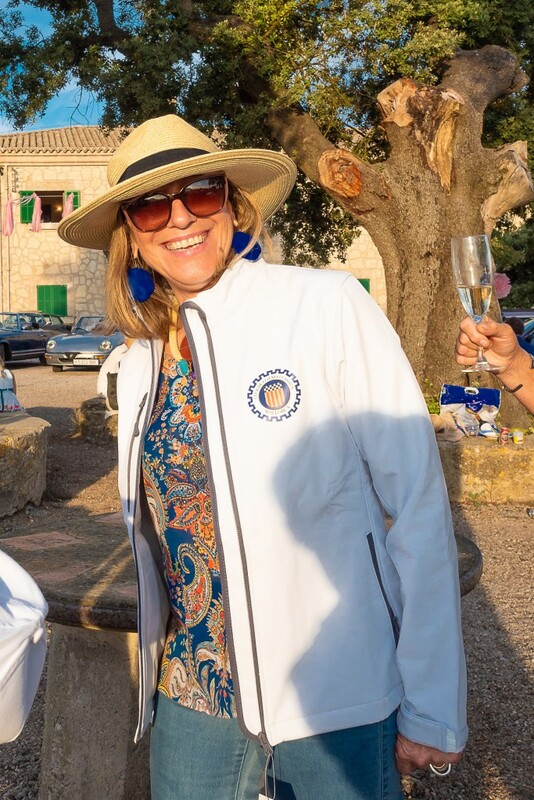 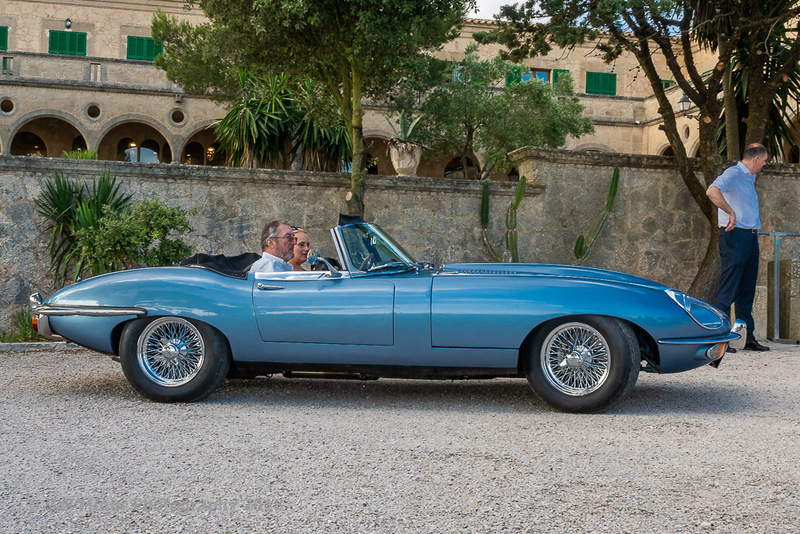 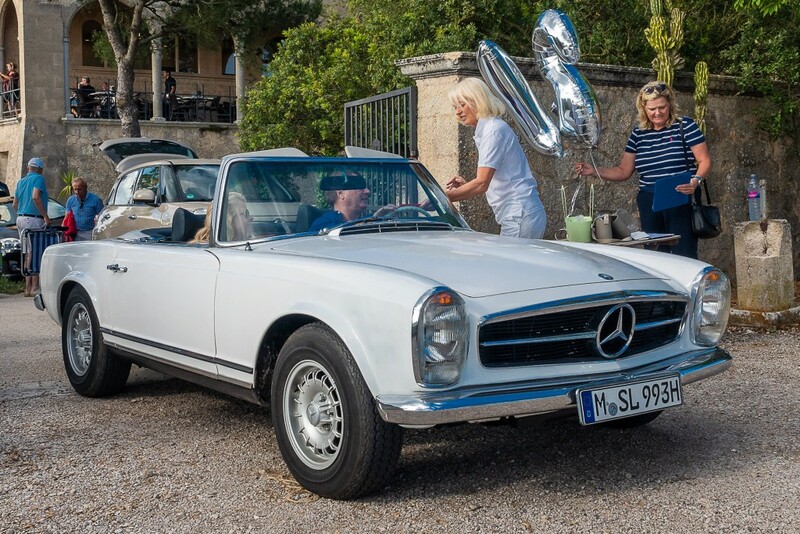 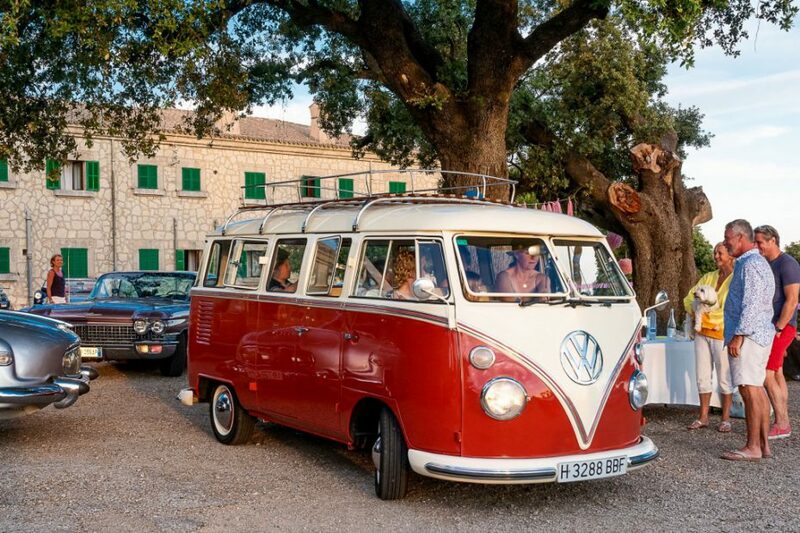 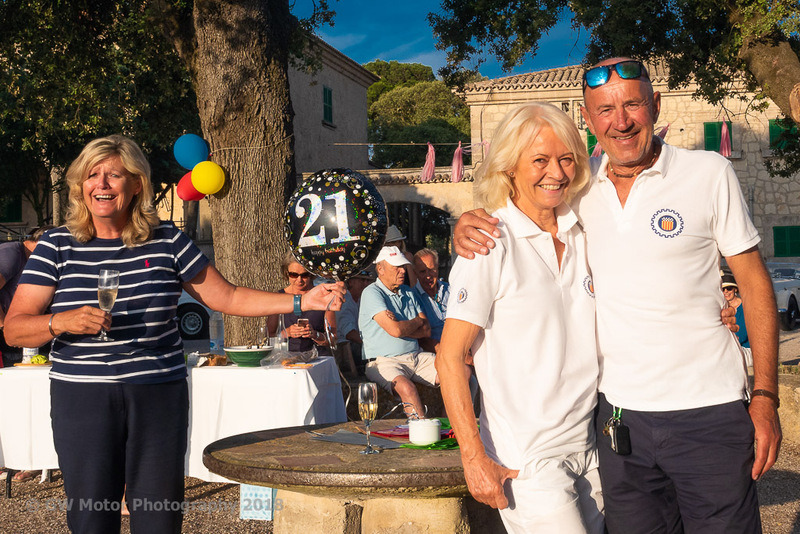 On Sunday 24 June, the Classic Car Club Mallorca celebrated its 21st Birthday with a Sunset Picnic Car Show at the stunning hilltop Santuari de Cura in Randa, organised by Robert and Jane Klevenhagen. 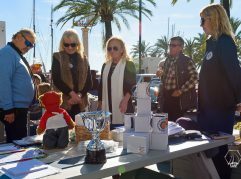 The club started 21 years ago with a glamorous classic car gathering in Port d’Andratx. 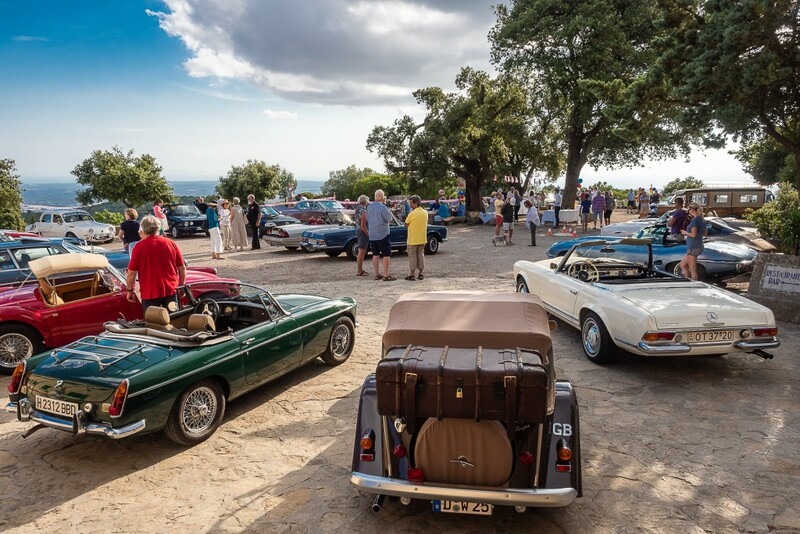 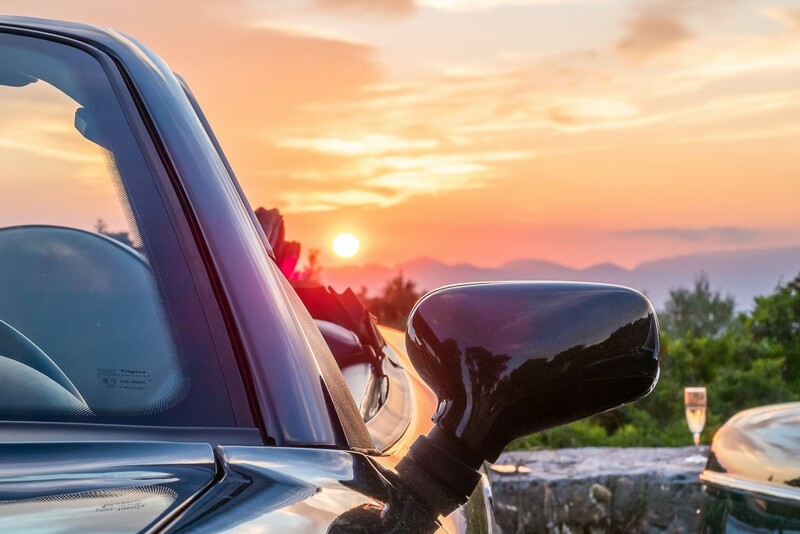 Solidly founded, with a comprehensive constitution, well organised and full of enthusiasts from the start, the Classic Car Club Mallorca has grown into an ever more popular organisation with close to 100 active members. 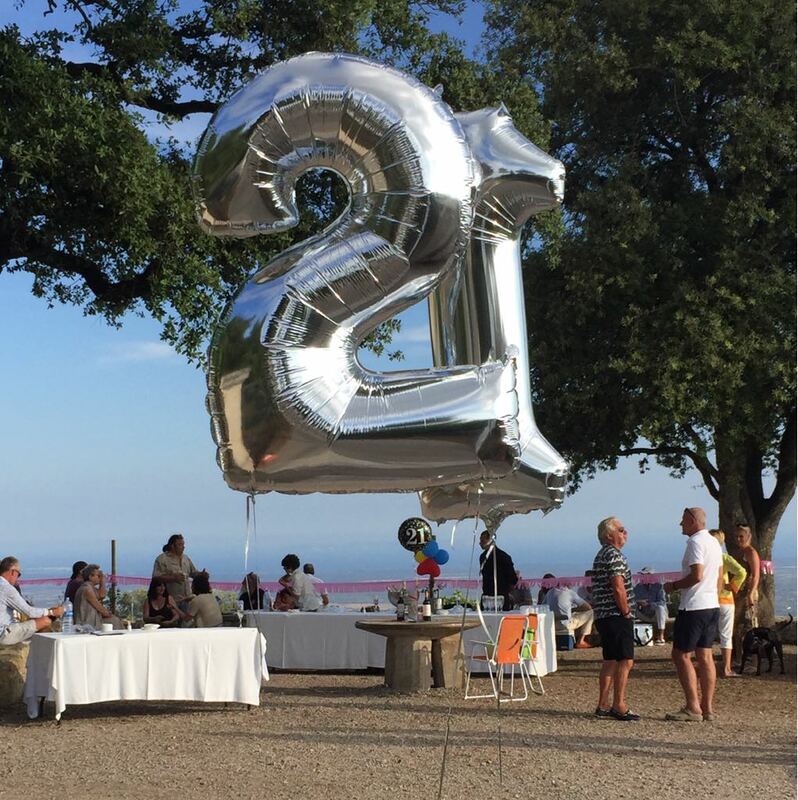 It was therefore fitting that the 21st Birthday Celebrations should be held in an historic location; Santuari de Cura where Ramon Llull founded Mallorca’s first hermitage in 1275. 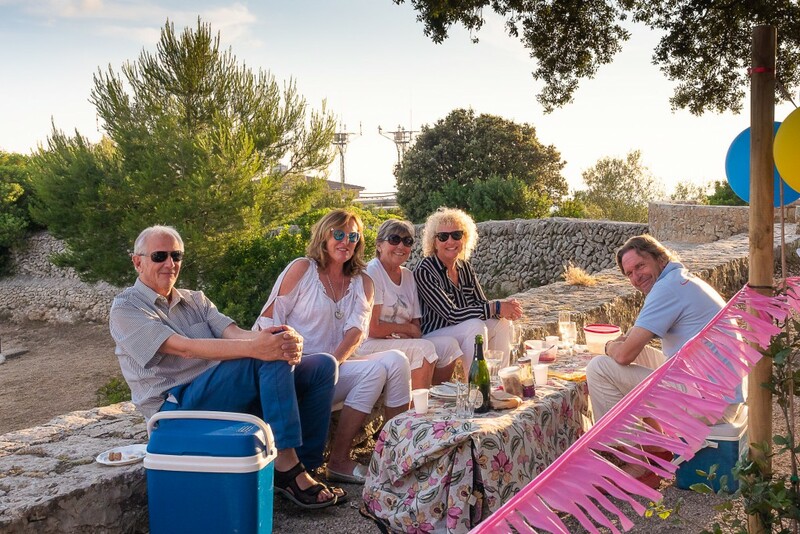 Rising to a height of 543 metres, the hill top provides stunning views of Palma and spectacular sunsets, especially so in mid-summer. 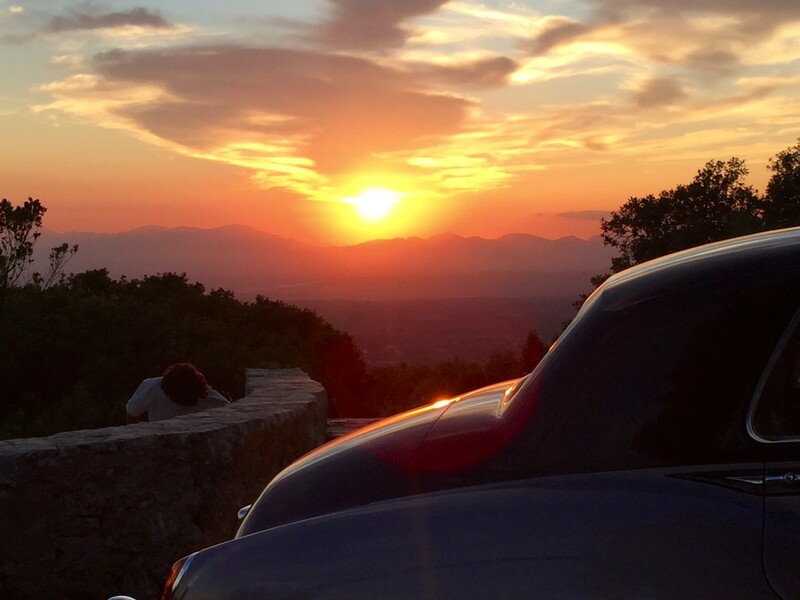 And this year the sunset was simply stunning. More than 30 classic cars and 70 members and friends turned out for the Sunset Picnic which is Club’s longest running regular event, started nearly 20 years ago and as popular as ever! 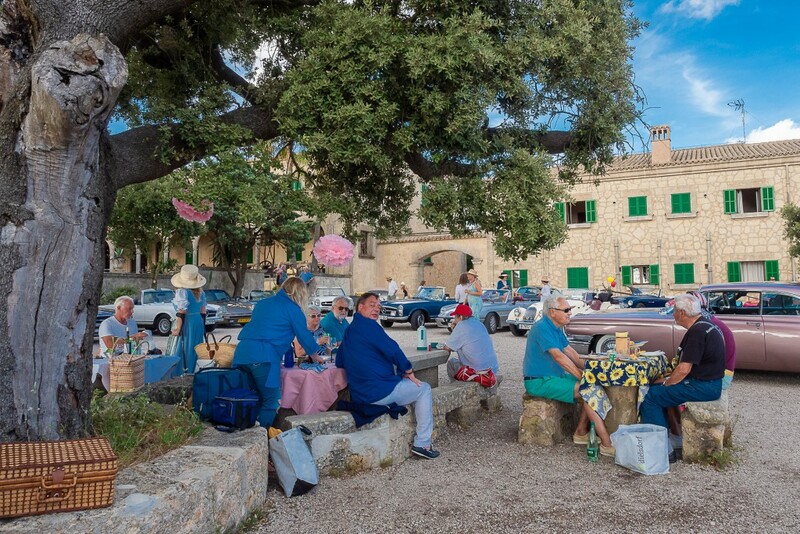 The picnic is a chance to enjoy the cars, your favourite food (and taste other’s) and to bring the whole family to this unique setting. 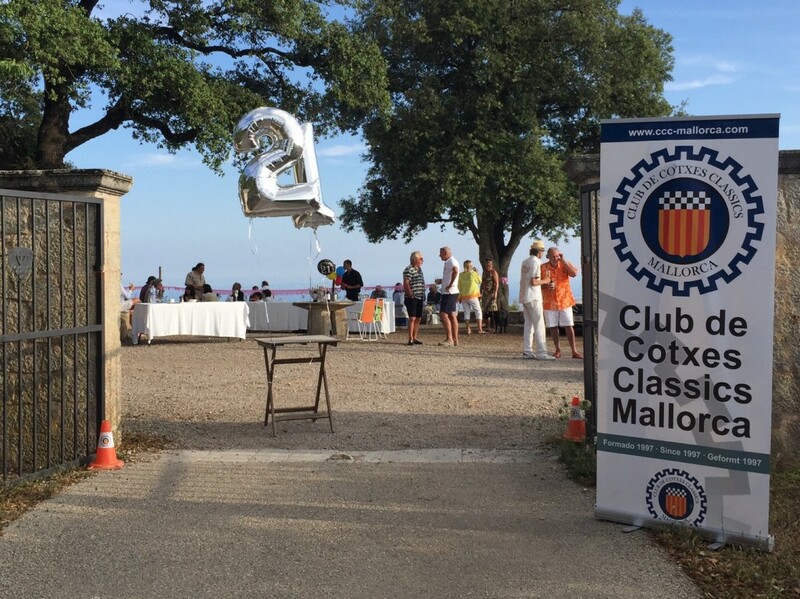 Most cars started their evening at The Boat House on the Paseo Maritimo. 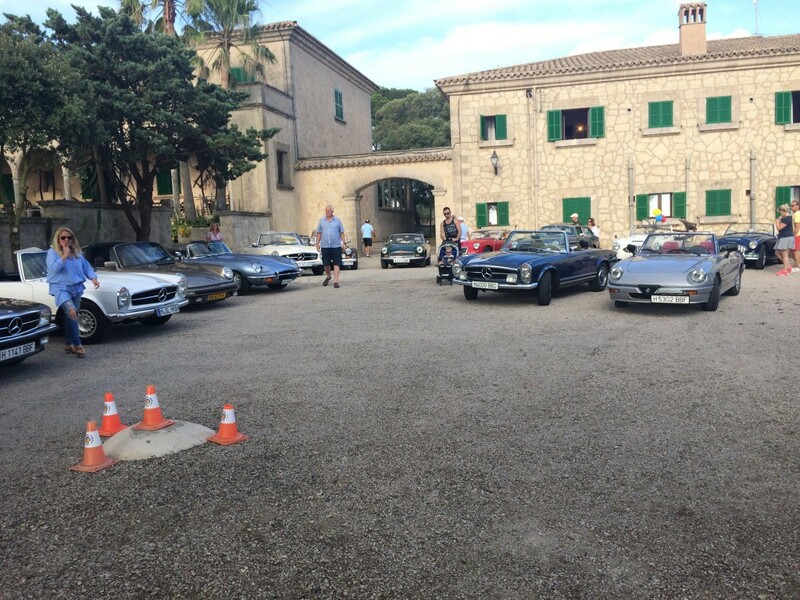 The classic convoy then left Palma and cruised to Llucmajor. 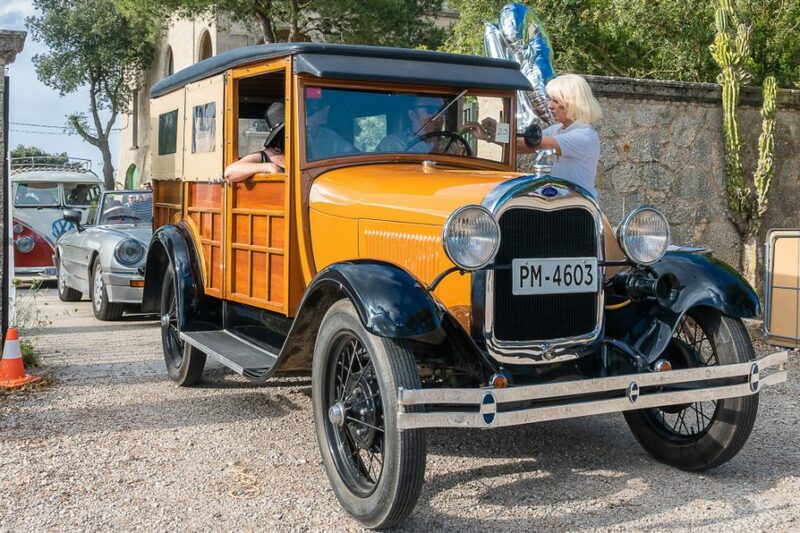 From there it was a picturesque drive up to Puig de Randa, first passing the Oratorio de Nostra Senyora de Gracia, then the Santuari de Sant Honorat and finally reaching Santuari de Cura at the summit. 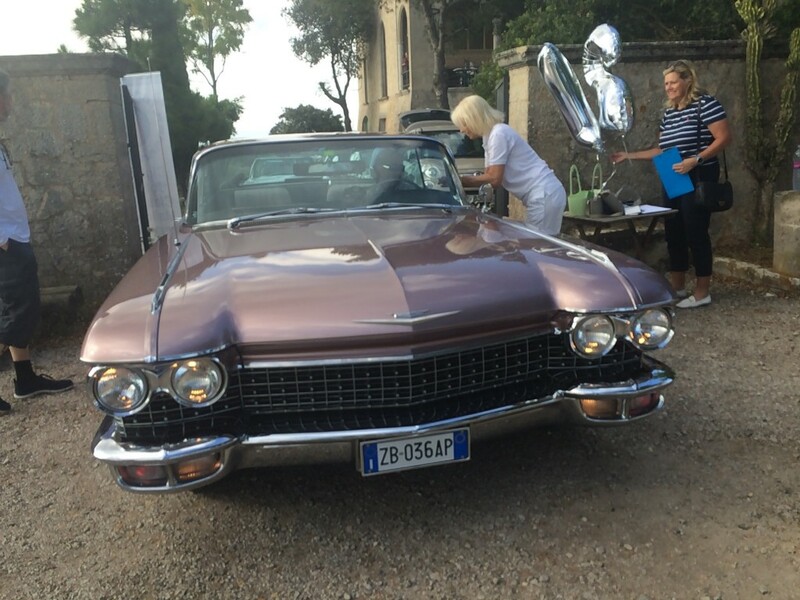 There were some stunning cars on show, vying for the prize of ‘the car you would most like to take home tonight’ as voted by the participants. To name but a very few, classics such as the Czech Tatra (with triple headlights), a range of Mercedes (2 Pagodas), MGBs and MGAs, Austin Healey 3000s, a stunning Cadillac, E-Type Jaguar and an immaculate 1968 VW Camper Van. 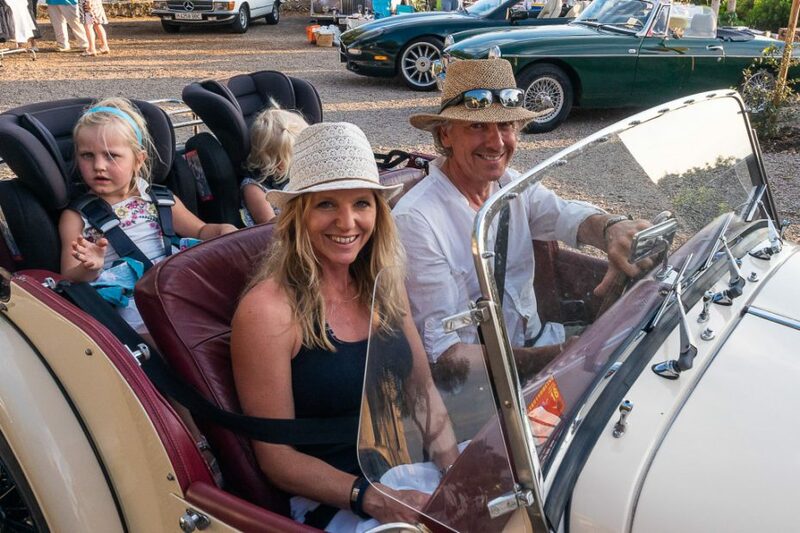 The runners up were Richard & Liza in their E-Type Jaguar and Pedro & Ann Alomar in their Tatra. 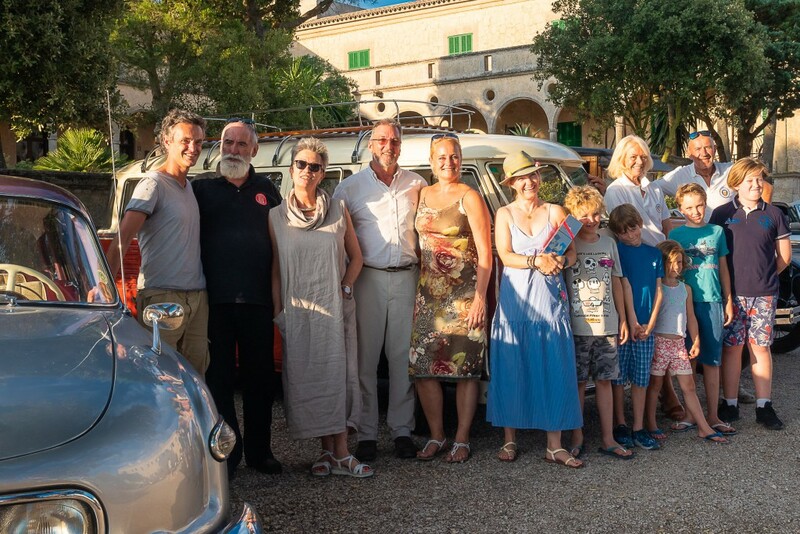 The winners were Britta, Nils & family in Britta’s charming 1968 Camper Van.